Lime juice powder is a must-have convenience item for your kitchen! No fresh limes? No problem! Use 1 tsp. Lime Juice Powder for approx. 1/2 lime. 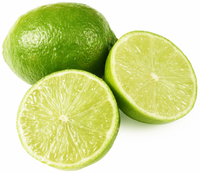 Use in drinks, dressings, marinades, desserts, smoothies, and any recipe calling for lime juice. No refrigeration required! 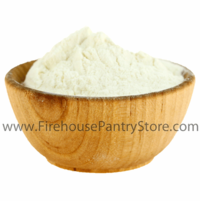 The dry powder stores and travels well - great for camping, boating, and hiking. Ingredients: corn syrup solids, lime juice, lime oil. Packaged in a facility that also packages wheat, milk, soy, egg, sesame, peanuts, and tree nuts. Please Note: As this product is spray-dried onto maltodextrin, the reconstituted "juice" will not be exactly like fresh juice. We use this in our Key Lime Pie Dip Mix, Sangria Wine Slush Mix, and Jalapeno Lime Salsa Mix.